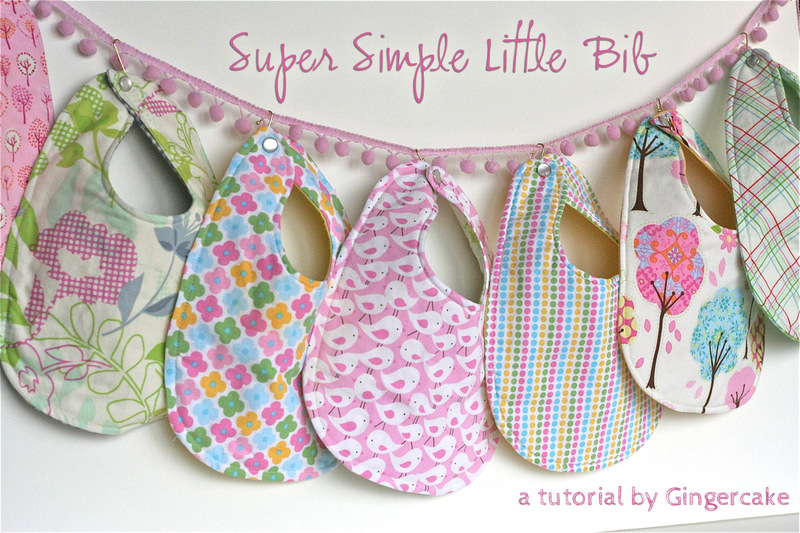 Super Simple Little Bib Tutorial- for my Slobberer and Craft Hope! My sweet little Marion is almost 4 months old. She is precious but the girl can slobber! And spit up all over me and her clothes several times a day. My other babies were not big spitters/ slobberers so I always looked a little sideways at the moms whose babies had bibs on all the time. I found a small bib pattern I drafted years ago that worked great for her size and should be good for a few months at least! This has been saving me from changing her clothes like 10 times a day. Also, I try to contribute to craft hope projects when I can and figured I could make extras and send over bibs for their current project. 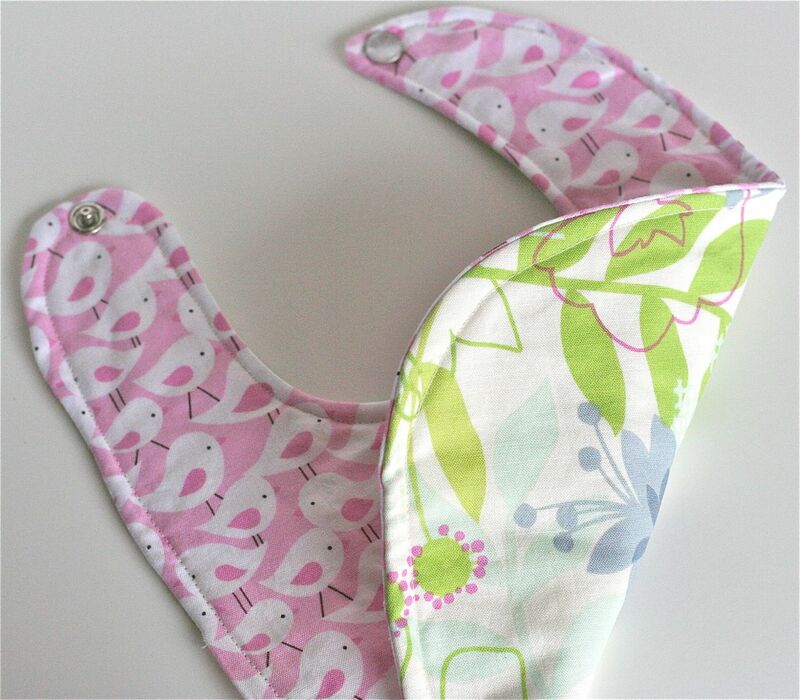 So even if you don’t have a baby to sew for right now, making these little bibs is fun and fast and you can contribute your work to craft hope’s excellent cause! UPDATE! 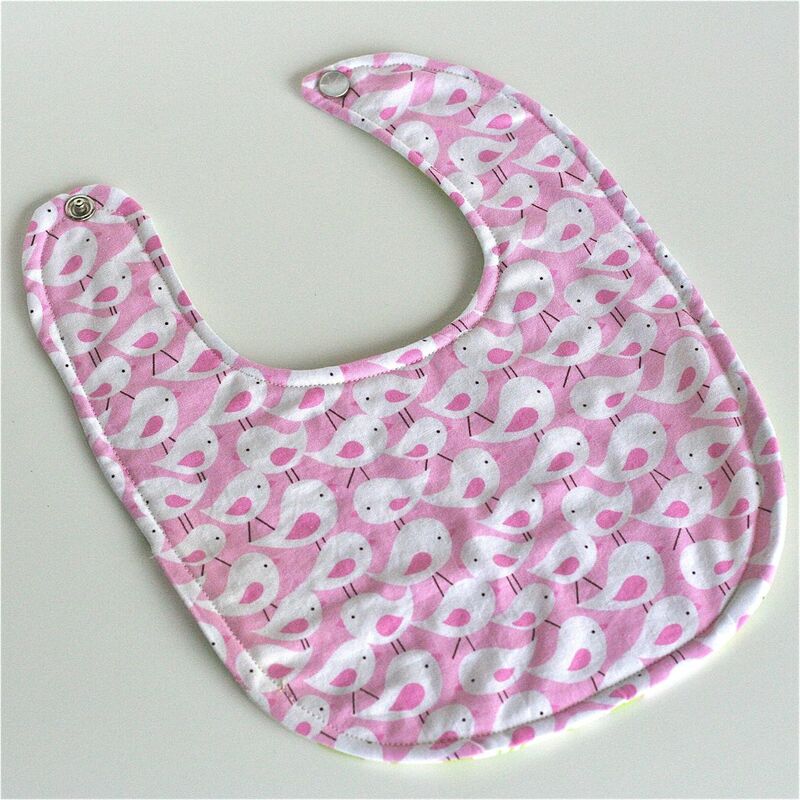 I made a youtube video featuring this cute bib that I know you will LOVE. I made mine reversible and with pearl snaps. This way baby can slobber (my 8 year old, who is always dying to hold her, says “MOOOOOMMM! She slobbered on me again! Come and get her please!”) on one side and then she can slobber on the other side too. 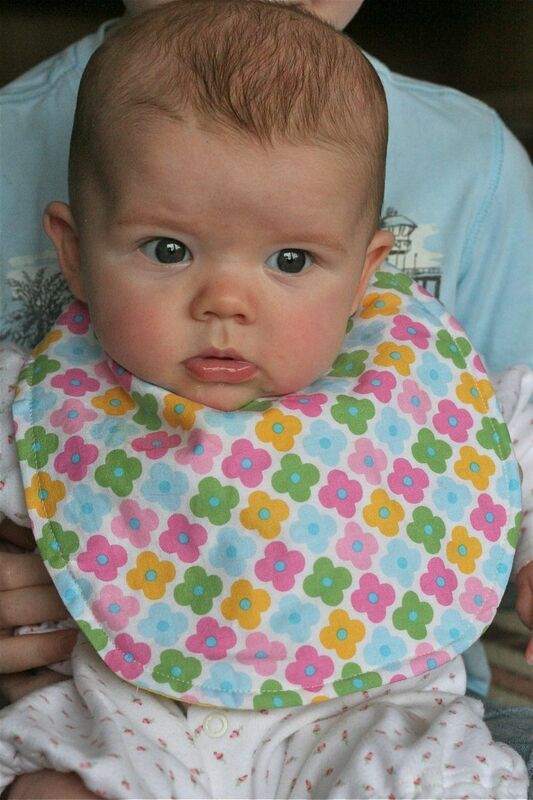 OR, you can switch the bib around to match her outfit if you care about that (and I admit that I do…). 1. 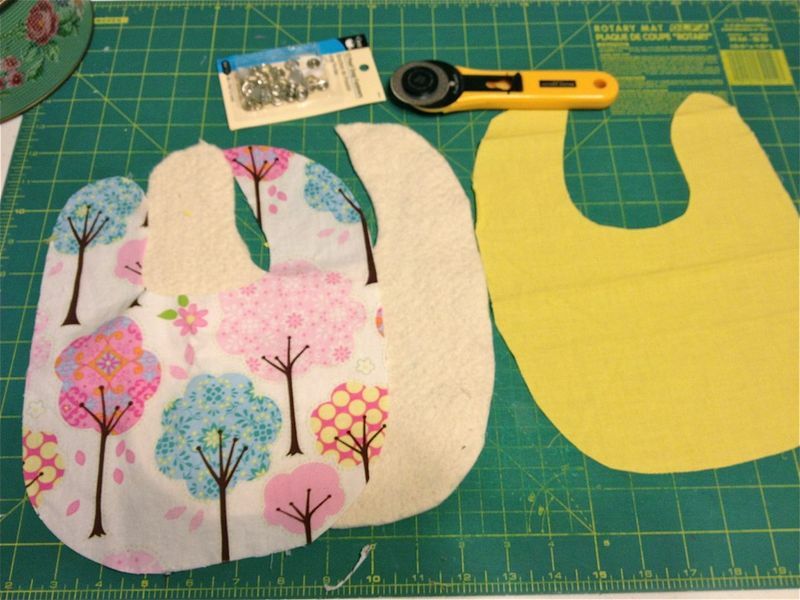 Print pattern pieces, cut them out and tape A & B together. 2. 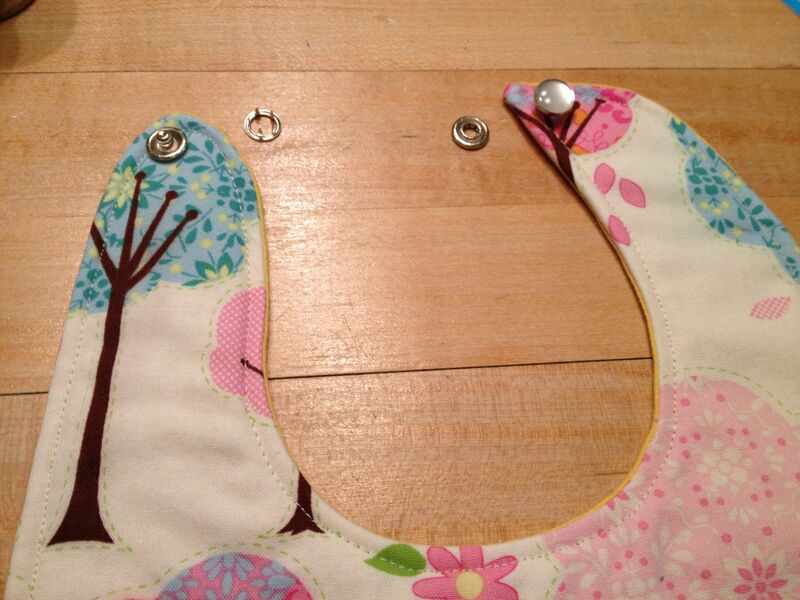 Use pattern piece to cut out mirror image pieces of the 2 cottons. This is important since the sides of the pattern are not symetrical! Maybe layer the fabrics right sides facing and cut them out together. 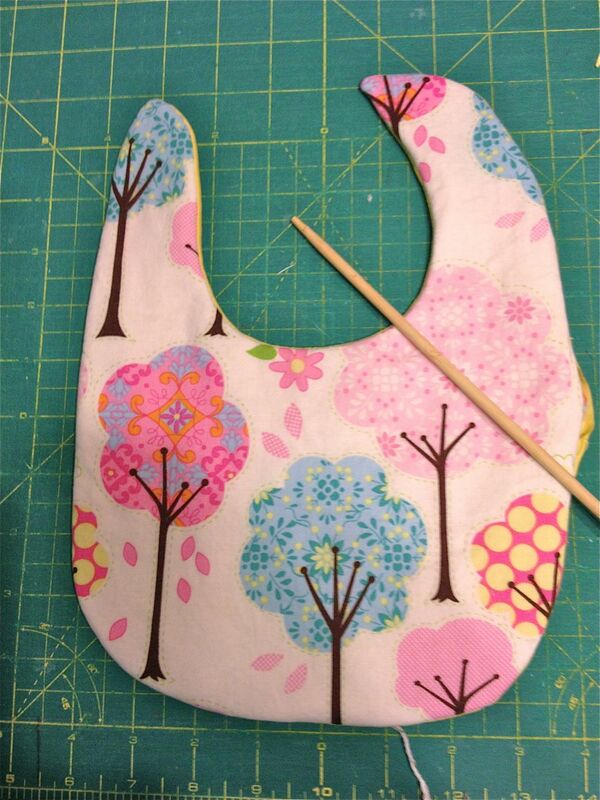 Also cut out a piece of matching cotton batting. 3. Layer the materials together- starting with batting, then a piece of cotton face up and then the other piece of cotton face down. Pin together. 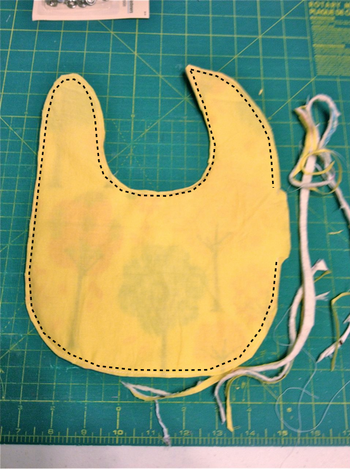 Sew the 3 pieces together with a 1/4″ seam allowance and leave a 3″ opening to turn the piece right side out. Trim the seams down to 1/8″ except at the opening. 4. Turn the piece right sides out and poke out tip with a chopstick. Iron it nice and flat and match up the opening edges. I use a piece of steam a seam to close up my opening but if you don’t have any around, just be careful when you top stitch. Top stich around the bib about 1/4″ from the edge. 5. Follow the directs to attach the pearl snaps. Make sure you have one side of the snap facing up and the other facing down! Now you have a pretty little bib! One thing I noticed is that a quick ironing after washing seems to shape them up really nicely. If you want to put in the extra time, you could easily quilt the top to give it some added interest and probably eliminate that ironing after washing. I made a bunch at once and it was so fast and easy! If you want to make these to sell, go for it! Just give me credit for the pattern with a link back to this post. Thanks! Also, please share your creations in my gingercake flickr pool! Marion is just beautiful – I think she looks like you. Thanks for the great pattern – I have a new grandson due in July and this is perfect – thanks! Just downloaded the pattern and plan to make a few for baby gifts! Thanks! So cute Virginia! Marion is getting so big, she’s gorgeous!!! 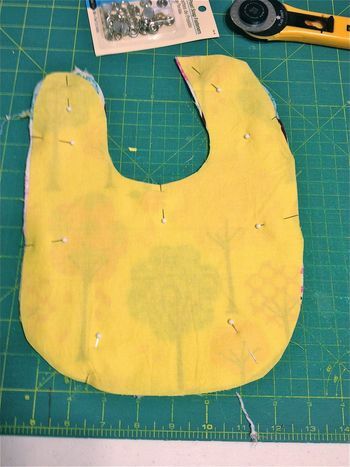 Do you have a pattern for a toddler bib? Just found your site and plan to print bib pattern!! Thank you!